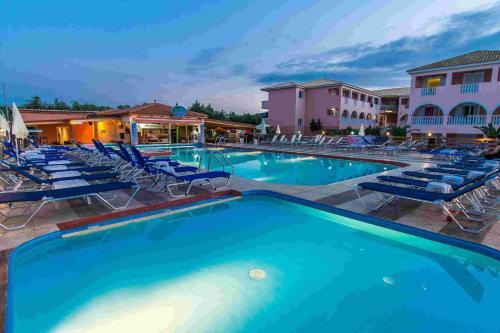 Savvas-Demar Hotel is 2-star hotel located in Laganas, Zakynthos. The hotel offers to its guests tennis court, barbeque, restaurant, a la carte restaurant, garden, bar	and outdoor swimming pool. As for the kids is games room. The property accommodates visitors in studio, family studio, quadruple room and other might be available upon request. Room amenities include a/c, fridge and more. Each unit has own bathroom. In the kitchen there are fridge and kitchen utensils.